With approximately 350,000 new and used RV’s of all types being sold each year, the demand for high-quality, third-party inspections continues to rise. If you should choose to become an RV inspector, you have two choices in how to move forward once you have been certified. 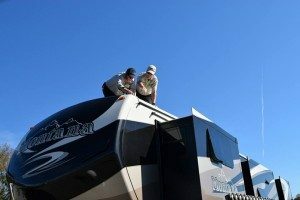 You can either contract with RV Inspection Connection, a national RV inspection provider, or you can be an independent provider. Either way, you should probably consider forming your own business entity. The first step you need to take is to get certified by the National RV Inspectors Association (NRVIA). Go to www.nrvia.org to get information on the steps needed to become certified, a list of class schedules and locations, as well as to answer any questions you may have. Perhaps you may want to speak with an inspector to see if this is the right decision for you. If you would like to further discuss your options, please select “Become an Inspector” in the inquiry drop down box of our contact form and I will give you a call. Once you make the decision to become an RV inspector, you can check the classes being offered by the National RV Training Academy. Select the schedule that works best for you.